Do you ever feel like you are not the voice of your own song or the author of your own story? Do you ever feel like that you aren’t creating that life of your own that is circled around your passion or artistry or vision? Maybe you are moving towards that place but you are hitting road bumps along the way where you feel like you are pushing yourself and trying to find your own voice in the midst of the noise? It’s a very scary thing to be able to trust your own voice. Your story is super important in anything you are doing – any branding, etc… It applies to anything. This was my problem for a long time, being able to trust my own voice, and trust my own story. If you are someone who is nervous about getting in front of the camera or doing live video, or sharing your own vulnerability, story or whatever it is, you are not alone! If you ever have worry, fear or concern, or if you are going to have a talk somewhere and you are not sure if you are going to find your voice or that energy inside you, I definitely would recommend playing this song and letting it inspire you to move forward with your story. Now she has a voice and she can sing, but her own limitations or belief in herself probably dampened that and maybe she was focusing on the negative that other people said. That is the problem. We are always going to have negative influences that comes into anything we do and also into our internal voice. How many of you struggle with an internal voice that says, “I can’t do this”? A lot of us deal with this. It’s sometimes very difficult to trust ourselves. It’s difficult to find that ability to tap into our own voice and just let it be a bird and set it free. I know that sounds really cheesy, but I feel strongly about it because there are times I struggle with this very thing. Often times it’s the biggest leap we can possibly take, ever. And that’s a scary thing – trusting ourselves. Allowing ourselves to give ALL of ourselves to the vision that we have. That’s the thing-we fear so much about what we have in our own abilities, our truth, but it’s just about letting go. Let the passion emerge that “I don’t wanna die” and become brave enough to face the fear and start singing or “trusting” your own vision. The more you can do that, the more life will come to you. If you are someone that is not sharing your story or your passion in any part of your brand or business, you need to begin doing it. Your business and your brand is YOU. Begin to share and use this song as inspiration. This song speaks worlds to me, because often times I get really nervous about sharing my own thing or relying solely on myself to accomplish something. Fear comes when I think about what might happen if I fail, or even maybe if I succeed. You need to put away all the fears and just focus on the success. Focus on the one thing that is going to make you happy in this world. By focusing on that one thing that makes me happy, you divert attention away from fear. Hopefully this will relate to how you can help other people as well. If you are not sharing your areas of vulnerability or the “real” you, you are not allowing people to connect with you on a very real and human level. I relate with someone when they tell me what their vision is for the future. What is their passion. Where did they come from and where are they now. What was their struggle and the final breakthrough. For the longest time I would never share where I came from or the fact that I scraped narrow past having my home foreclosed on. I had a hard time sharing my struggles as an entrepreneur. I went from a 6 figure real estate agent to $15,000 struggling just to make ends meet and almost lost my house twice in the process. I had to find my passion and drive and pull myself back up to the top. I started selling products online. I sold my first YouTube course to help people use the power of video in their business. I sold over $245,000 in online courses in 12 months. That was my first experience with selling online and I haven’t looked back since. But there is that consistent “check-in” time. I have to keep myself on course and not lose sight of my passion and the things that I love. Discover your mantra. 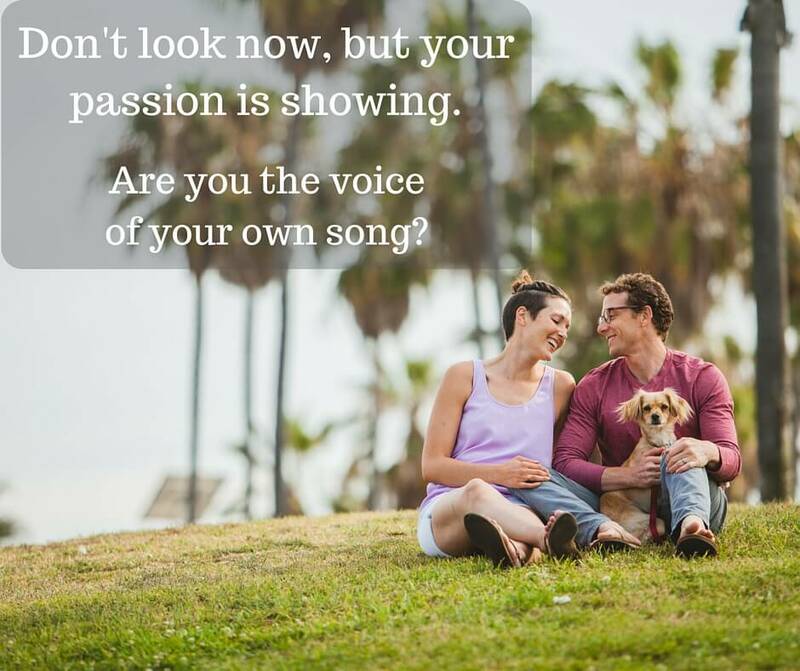 What is the song, book, or quote you can use to remind you to stay true to your calling and vision for your life? Wow… awesome Post!!! Thanks Casey for sharing this, it is very inspiring.